Recording artists received just 12% of the $US43 billion that the music industry generated in 2017, according to a Citigroup report. 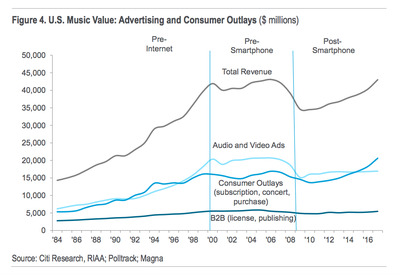 Consumer spending on music generated an all-time high of more than $US20 billion last year, but music businesses, including labels and publishers, took almost $US10 billion, while artists received just $US5.1 billion, the “bulk” of which came from touring. Recording artists received just 12% of the $US43 billion that the music industry generated in 2017, according to a Citigroup report published on Monday, and led by analyst Jason B. Bazinet. $US43 billion matches a 12-year peak that the industry hasn’t hit since 2006, the report said. 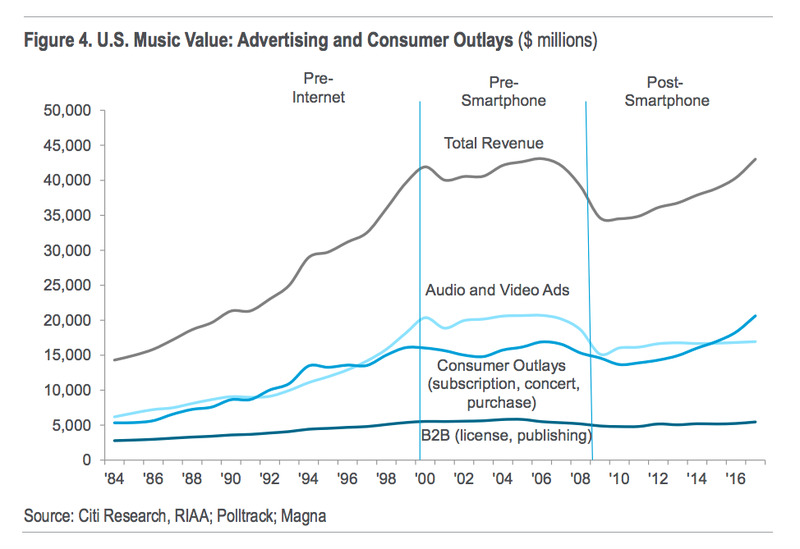 The report shows that “consumer outlays,” which includes streaming, concert sales, and purchased music, generated an all-time high of more than $US20 billion last year. But music businesses, including labels and publishers, took almost $US10 billion, while artists received just $US5.1 billion, the “bulk” of which came from touring. 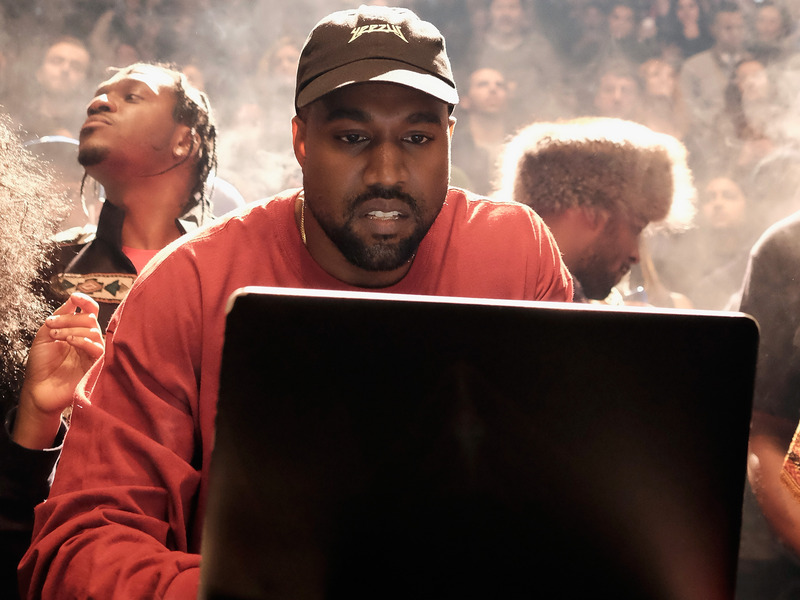 The report anticipates (and is likely to spur calls for more) “organic forms of vertical integration” in the industry, where existing music providers like Spotify and Apple Music could “organically morph into music labels,” allowing artists to capture more of their music’s value by releasing their work directly with the services.